If you are running a big company or deal with multi-branch business; you may need posters to sell new products, promote your services or just to strengthen your brand image. Come to WA PRINTING for effective s solutions to your poster printing needs. Being a part of marketing tool, posters play a crucial role and are commonly utilized in trade shows or expos. Thanks to their affordability, they can be frequently swapped and reprinted without costing you a small fortune, attracting customers in a visually appealing manner. 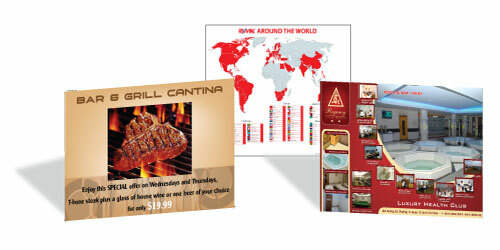 You can have your posters personalized with company’s logos or typical images to create significant marketing impact. Once customers look at the posters, your brand will instantly come into their minds and promote your products and services. 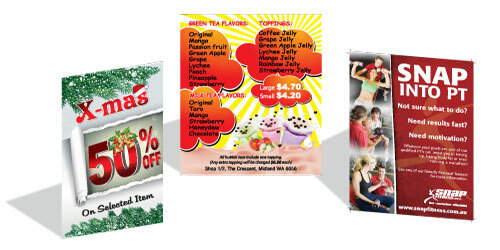 Visit our stores in Perth and Midland for your posters. Now, no need to spending time searching, give us a call and our team will be happy to assist you with your marketing campaign.